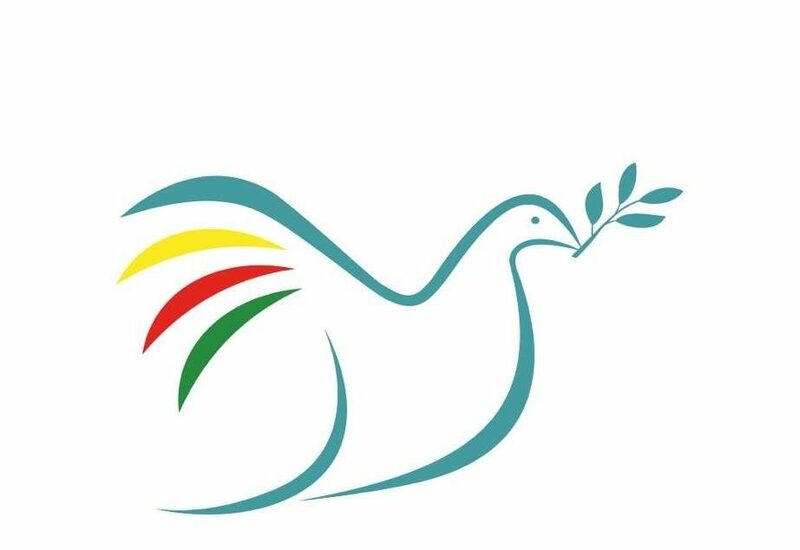 This week, 35 years since the founding of the Kurdistan Workers’ Party (PKK), Peace in Kurdistan Campaign wishes to express its solidarity with those in the struggle for peace and justice in Kurdistan. Former BDP Diyarbakır MP and HDK administrative committee member Akın Birdal has spoken to ANF regarding PM Erdoğan’s comment to the effect that “we will see those in the mountains come down and the prisons’ emptied” Akın Birdal emphasised that while hundreds of sick prisoners have been left to die or transferred to prisons far from their families these words had no credibility in the eyes of the Kurdish and Turkish peoples. Birdal added that in an environment where thousands of people involved in legal democratic politics are in jail talk of coming down from the mountains amounted to nothing more than a call to surrender. 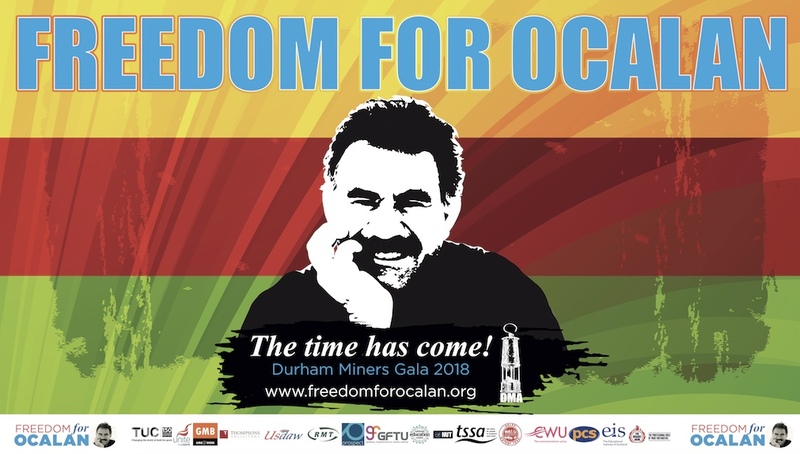 The Kurdish Liberation Movement made up of a group of Kurdish and Turkish youths, known as pro-Apo (Öcalan) and -national liberation groups till 1978, became a party following the first congress held in the house of the Zoğurlu family, which supported the organization since its formation, in the Fis village of Diyarbakır’s Lice district on 26-27 November. The PKK (Kurdistan Workers’ Party, Partiya Karkerên Kurdistan) has become a public movement addressing millions during the 35 years that have passed since the first congress which had been attended by 22 delegates. Kurdistan Communities Union (KCK) Executive Council Co-President Bese Hozat spoke to ANF about the struggle PKK has given for 35 years now, what it has achieved so far and what kind of a change and transformation it has introduced to the Kurdish people. Thousands of women have taken to the streets in the main Kurdish city Amed/Diyarbakır today to mark the International Day of Elimination of Violence Against Women. The march organized by Democratic Free Women’s Movement (DÖKH) was joined by a large number of women and women’s organizations. “Jin Jiyan Azadi” [Women, Life, Freedom] read the banners they carried as they marched from Ofis to Bağlar district, chanting the slogan “We are not remaining silent but getting organized”. In a statement on behalf of the women joining the rally, Kardelen Women’s Shelter Spokesperson Yeliz Ayyıldız called attention to the increasing violence against women in Turkey and remarked that the male-dominant capitalist system was responsible for systematic violence and the slavery life women are being doomed to. Prisoners in Turkey’s Kurdish provinces of Van and Mus suffer torture and abuse and their trials are moved to distant cities where they can get no legal support, according to the Diyarbakir Bar Association. The association’s Prison Commission says that nothing has changed for Kurdish political prisoners in Turkish jails, despite a peace process underway between Ankara and the Kurdistan Workers’ Party (PKK) to formally end three decades of conflict in which 40,000 people have been killed. “On 28 October 2013, the prisoners’ personal possessions (like books, diaries and photographs) were seized by force by the prison administration and prosecutor in Mus Prison,” the commission said in a report. In the meantime, the prisoners were exposed to physical violence, insults, threats and sexual abuse. “As some female prisoners were beaten heavily, they had vaginal bleeding and head traumas,” the report added. Peace and Democracy Party (BDP) has received over ten thousand applications for mayor and city council member candidateship for the approaching local elections which will be held next March. A total of 167 people have put down their names in the list for candidates from which the mayor candidates will be selected for Diyarbakır/Amed Municipality. The number of those who have stood for seat in the city council of Bağlar, Sur, Yenişehir and Kayapınar Municipalities has reached 299 by now. According to the information obtained from the BDP electoral commission, 167 people have applied for mayor nomination candidacy so far, including 8 in Bağlar, 11 in Bismil, 6 in Çermik, 7 in Çınar, 1 in Çüngüş, 1 in Eğil, 10 in Dicle, 24 in Ergani, 9 in Hani, 12 in Hazro, 14 in Kayapınar, 15 in Kocaköy, 5 in Kulp, 8 in Lice, 11 in Silvan, 13 in Sur, 10 in Yenişehir and two for Amed metropolitan municipality. The eight hearing of the trial against Kurdish journalists will be held at Silivri Prison Complex in Istanbul on 2 December. Özgür Gündem, Dicle News Agency, Azadiya Welat, Demokratik Modernite and Fırat Distribution issued a joint statement before the trial and called for solidarity with the journalists on trial, and participation in the rally journalists will stage at Istanbul’s central Galatasaray Square on 30 November to voice support for their colleagues. The statement said journalists in prison were being held as hostage and tried because of the journaliststic works they performed, and the indictment against them was not grounded on any democratic law principles. The Peace and Democracy Party — one of the Kurdish parties in Turkey — has held a mass rally in the city of Istanbul. Thousands, including representatives and supporters of about 20 more political parties and organizations also attended the rally at Kadikoy square. The demonstrators said the rally was in solidarity with the Kurdish resistance in neighboring Syria’s Rojava region, and also to promote peace. The demonstrators chanted slogans in support of cross-border peace, after co-leader of the Syrian Democratic Union Party announced that his party is ready for renewed talks with Ankara. Activists and the families and lawyers of many Turkish soldiers who reportedly committed suicide or were killed in accidents doubt the official version of the deaths, noting that many of the dead were either minority Kurds or Alevis. 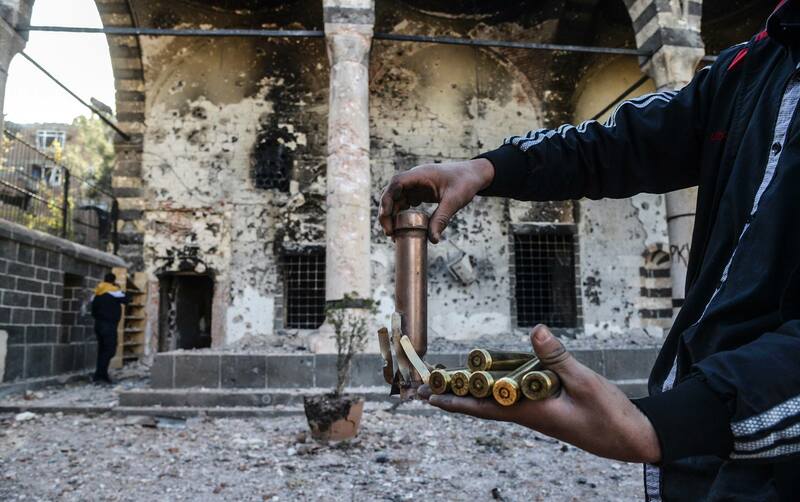 “Most of the soldiers who lost their lives in the army were Kurdish or Alevis. Their families do not believe that it is a coincidence that all those accidents happen to their children,” said Ergin Dogru, head of the Dersim branch of the pro-Kurdish Peace and Democracy Party (BDP). “The deaths in the army are not investigated sufficiently and the military courts do not give just rulings about the cases,” Dogru complained to Rudaw. The Turkish Ministry of Defence says that 2,221 soldiers lost their lives in suicides or accident deaths between 1992 and 2012. Kurdish militias have routed al-Qaedist forces in northeast Syria, securing their control over more than 20 towns and villages. By late October, Kurdish forces had extended their control over most of Hasakah province. This ground, taken in the course of the Syrian civil war, is part of a broader rise in the struggle of the Kurdish people, an oppressed nationality of some 30 million concentrated in Turkey, Iran, Iraq and Syria. Of the more than 2 million Kurds in Syria, the largest concentration resides in Hasakah province, which is 70 percent Kurdish. The other major concentration is in the district of Efrin in the northwest, where their numbers have doubled over the course of the civil war. These areas are commonly referred to by Kurds as Rojava (western Kurdistan). Kurds also comprise a significant minority in both Damascus and Aleppo. Last week (22 November 2013) a joint conference by Centre Maurits Coppieters together with the Kurdish Institute of Brussels and Belgian Senator Karl Vanlouwe took place in Brussels on the situation of Kurds and the Syrian civil war. You can see video clips from the main conference speakers here. Mohammed Nourizad, a well-known activist, filmmaker and former journalist who has gone from supporting Iran’s clerical regime to turning into one of its fiercest critics, has visited the Kurdish areas of Iran with a white flag by way of apologizing for his earlier judgment of the country’s Kurds. “My view of the Kurdish areas was strictly journalistic,” Nourizad told Rudaw in an interview. “My reading was based on government statements of words of people who had visited the Kurdish areas.” Nourizad, 60, was once a fervent supporter of Iran’s Supreme Leader Ayatollah Ali Khamenei. He said his opinion has completely changed since he started his visit to the Kurdish areas of western Iran, including the city of Sardasht. Exhausted by relentless bombings and exasperated by the federal government’s inability to provide security, Tuz Khurmatu, one of the most fractious towns in Iraq’s disputed territories, has voted to come under the protection of Kurdish Peshmerga security forces.Key Kurdish leaders indicated their intention to honor the request, despite the risk of raising tensions with authorities in Baghdad and Salahaddin province, who oppose the move. Turkey and Iraqi Kurdistan signed a package of landmark contracts earlier this week that will see the semi-autonomous Kurdistan region’s oil and gas exported via pipelines through Turkey, sources close to the deal told Reuters on Friday. The sources said the deals were signed during Kurdistan Regional Government (KRG) Prime Minister Nechirvan Barzani’s three hour-long meeting with Turkish Prime Minister Tayyip Erdogan on Wednesday. The move is likely to further infuriate Baghdad, which claims the sole authority to manage Iraqi oil and which said late on Thursday that any energy deal with Kurdistan would be “an encroachment on the sovereignty of Iraq”. The Turkish Energy Ministry declined to comment. More than 100 international energy companies and 800 political and diplomatic figures are expected to attend the Kurdistan-Iraq Oil & Gas Conference 2013 in Erbil next month, notably coinciding with historic oil exports by the Kurds. The four-day conference opens Sunday, just as the autonomous Kurdistan Regional Government (KRG) in northern Iraq begins to export oil directly to Turkey through its newly-extended pipeline. “More than 100 international oil and gas companies have registered to participate in this conference,” said Nawar Abdul Hadi, deputy president of the CWC Group which organizes international energy events. “More than 800 politicians and diplomats will participate,” he added. With fundamental disagreements lingering for years between Erbil and the central government in Baghdad over oil issues, sources said that officials from the Iraqi oil ministry would not attend the conference. But the deputy prime minister of Iraq Roj Nuri Shawes, who is an ethnic Kurd, will participate. A seminar on ‘’the long road to peace and reconciliation in Turkey’’ has taken place in London with guest speaker from South Africa, Judge Essa Moosa, who was on a brief visit to the UK. The seminar addressed the current opportunities for dialogue between the Turkish government and the Kurds within the context of the slow moving peace process which was in danger on stalling. The event organised by Peace in Kurdistan in association with SOAS Kurdish Society, was held at SOAS on the afternoon of 16 November and attended by students, academics and people from wide spectrum of organisations who take an interest in Kurdish issues. Judge Moosa, a distinguished law maker and a veteran of the anti-apartheid struggle, was introduced by Birgul Yilmaz, Teaching Fellow at SOAS, Faculty of Languages and Cultures, who chaired the event. He was joined on the panel by Akif Wan, Kurdistan National Congress, UK Representative. Sakine Cansız, a co-founder of the Kurdistan Workers Party (PKK) was killed in Paris, at the Kurdistan Information Office, on 9 January 2013. She was shot dead along with two other Kurdish women and political activists. Fidan Doğan, representative of the Kurdistan National Congress (KNK) in Paris and Leyla Şaylemez, member of the Kurdish youth movement. The Kurdish Liberation Movement made up of a group of Kurdish and Turkish youths, known as pro-Apo (Öcalan) and -national liberation groups till 1978, became a party following the first congress held in the house of the Zoğurlu family, which supported the organization since its formation, in the Fis village of Diyarbakır’s Lice district on 26-27 November. The PKK (Kurdistan Workers’ Party, Partiya Karkerên Kurdistan) has become a public movement addressing millions during the 35 years that have passed since the first congress which had been attended by 22 delegates. When the president of Iraqi Kurdistan, Masood Barzani, visited Diyarbakir with Sivan Perwer, the famous Kurdish singer who was in exile for more than 37 years, many hailed it a turning point in Turkey’s mistreatment of its Kurdish population. The Turkish prime minister, Recep Tayyip Erdogan, got on the stage with Barzani and Perwer, declaring that it is time to celebrate the peace. Successful peace processes need a few critical ingredients – a) inclusivity, b) trust and c) clarity about the end goal. Ever since the Erdogan launched the dialogue process with the PKK last spring, progress has been less than satisfactory. Turkey’s ambitions to become a regional leader with a “zero problems” foreign policy have been left in tatters by the Syrian civil war, rising sectarian tensions and a fresh diplomatic fallout with Egypt. The predominantly Sunni Muslim NATO member state is now seeking to mend fences with Shiite powers Iraq and Iran to restore its waning clout in the Middle East in the wake of the Arab spring uprisings. The Syrian conflict has upset the balance of power in Turkey’s backyard and dealt a blow to Prime Minister Recep Tayyip Erdogan’s lofty regional goals, his stature on the international stage also tarnished by the wave of anti-government protests that gripped the country in June. Songs and language have always gone hand-in-hand with nationalism, especially for nations aspiring to their own homeland and fighting to keep alive language and culture. This is true for a Kurd in Diyarbakir or a Catalan dreaming of independence in Spain. For the Kurds, the foremost singer who for decades kept alive the Kurdish language and yearning for “Kurdistan” is Sivan Perwer, who returned from 37 years in exile to sing Sunday in Turkey’s Kurdish heartland of Diyarbakir. Perwer, 57, once said that he sings because it “alleviates my nation’s pains and sharpens their rage.” Before thousands of fans – and only a short distance from where he was born and went into exile for his songs – Perwer on Sunday performed one of his most famous songs, Megri, Daye Megri (Don’t cry, mother don’t cry), in a duet with Ibrahim Tatlises, another icon of Kurdish music. A new interview with Sahil Muslim by M. Ali Çelebi has been published in Özgür Gündem. Below is a translation of certain segments, in which Muslim talks about efforts to prevent inter-communal fighting, relations between Arabs and Kurds, and the current situation in Rojava more generally. Q. On the subject of recent developments in Rojava a number of recent claims attributed to you are being debated; you said that the Arabs settled in Kurdish cities were certainly some day need to be removed and that Arab-Kurdish fighting will certainly break out. A. No, I took pains on that subject. It not like that. Some are asking about the situation in Qamişlo, and some are asking about the situation in Hesekê. It’s early evening at a farmhouse near Ras al-Ayn, Syria. The generator just ran out of fuel. The walkie-talkie starts buzzing and Sheelan grabs it in the pitch black darkness of the living room. On the other end of the static is Nooda, who’s on night duty with three other fighters. Nothing unusual here about two women in arms talking. There are nine women out of the 25 or so fighters positioned at this strategic outpost. The fighters all moved here three weeks ago when the YPG, the Kurdish militia fighting in Syria, forced radical Islamist groups to retreat from about two dozen villages. In the next room, a man and a woman chat over a huge pan of boiling oil. They’re fixing dinner: French fries, canned hummus and pickles. As the fat winter sun dropped sharply below the horizon, Rossiar pointed to a distant cluster of buildings silhouetted against the sunset. “That’s where they are,” she told us. It didn’t feel much like a front line, just acres of billowing farmland tinted orange in the glow of the fading dusk light. But the smallholding we were standing on, half an hour’s drive west of Ras Al-Ain along a road that hugs the Turkish border, now lies at the apex of a crucial new stage in Syria’s civil war. The Kurdish militias, the People’s Protection Units (YPG) and the affiliated Women Protection Units (YPJ), are battling the radical Islamist forces of Jabhat Al-Nusra and the Islamic State of Iraq and Syria (ISIS) along a front line that stretches 200 miles (330 kilometers) from here to the Yaaroubiyeh border crossing on Syria’s northeastern frontier with Iraq. The enemy that Rossiar pointed to was positioned just 2 miles (3 kilometers) away, across the rolling north Syrian plains. Turkey vehemently criticizes the Israeli and Egyptian blockade of the Gaza Strip, and many countries of the world supported the “freedom flotillas” that made successive trips to ostensibly try and bring humanitarian aid to Gaza. Turkey has made a lifting of the blockade on Gaza a precondition for resumption of diplomatic ties with Israel, and has vehemently criticized Egypt for also limiting traffic into Gaza from its border. The discourse focuses on the huge injustice of collective punishment of all of Gaza’s people for the politics of their Hamas rulers. Even though Hamas has launched thousands of rockets aimed at Israeli civilian centers, sent infiltrators to attack Israel and declares the destruction of Israel and complete liberation of Palestine to be its main goal, Tel Aviv is accused of overreacting with its blockade. Global Security Briefing, November 2013: The re-escalation of sectarian conflict in Iraq over the last six months is closely tied to developments in the Syrian war, where Iraqi Shi’a militia are key to the Assad regime’s current offensive and Sunni militants linked to al-Qaida’s Iraq franchise occupy large areas close to the common border. Even if peace is agreed in Geneva next year, tackling the security and economic legacies of this growing sectarianism may take decades. Two developments in the Syrian war are likely to have an extended impact on the entire Middle East region. One is the increasingly close linkage now evident between the war in Syria and the evolving conflict in Iraq. They are in the process of coalescing into what may amount to a single conflict. The second development is that the severity and duration of the war means that the post-conflict economic recovery of Syria, when it finally comes, is likely to take decades unless there is massive external support. The nuclear deal with Iran, though still temporary and tentative, is ushering in a historic shift in the patterns of power, conflict, and diplomacy in the region. Like all historic shifts, it is laden with uncertainty and risk of new conflicts, but also carries with it potential opportunities for further diplomacy and finding common ground. Given the precedent of conflict and mistrust in the region, it is no surprise that the deal has raised concerns among many of America’s allies. Throughout most of the administration of George W. Bush, Iran was seen as an implacable enemy, a member of an “axis of evil.” When Obama tried to turn that posture around in 2009, he was met by the hard-line rebuffs of President Ahmadinejad. When President Rouhani replaced Ahmadinejad in August of this year, the two “moderates”—Obama and Rouhani—with vigorous help from their engaged foreign secretaries, Kerry and Zarif, have managed to put the U.S.-Iranian relationship on a new course. 33. Haldane Society of Socialist Lawyers defends Turkish colleague: Letter of Concern regarding Av. Ramazan Demir/Istanbul Bar, 27 November 2013.